Chronic pain has a life-crushing impact. Becky Curtis, founder and pain coach at Take Courage Coaching, knows this firsthand. After a near-fatal car accident and subsequent development of central nerve pain, she almost became another statistic. Here, we talk with her about how she transformed her experience into a personal coaching career that not only helps other pain sufferers rediscover fulfilling lives, it also has become her own best pain management technique. PP: What is pain management coaching? The International Coaching Federation defines personal coaching as “partnering with clients in a thought-provoking and creative process that inspires them to maximize their personal and professional potential.” This is particularly important in today’s uncertain and complex world. What I like about coaching is that it honors the client as the expert in his or her life and work and believes that everyone is creative, resourceful and whole. 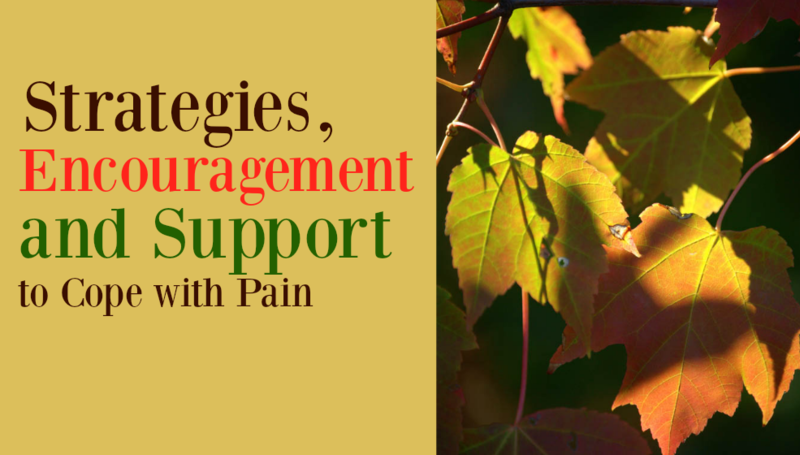 Pain management coaching expands on effective coaching principles and techniques to equip the pain management coach for the challenging and special work of encouraging clients to transition to managing their chronic pain. PP: How did you get started as a pain coach and why? After a near fatal auto accident and subsequent development of central nerve pain, I was introduced to pain management in an outpatient clinic program. Back home, I nearly became another statistic—falling back into my environment and lacking support to implement the pain-management strategies I had learned. I realized how isolating chronic pain becomes. Sometimes strong pain medications are the most help patients receive, and often the solution eventually becomes the problem—when opioids cause increased sensitivity (hyperalgesia) to the very pain they are supposed to mask. I had done some work with a lifestyle coach and wondered if personal coaching techniques could help those in pain learn and implement pain-management strategies. I tried it out on a few friends, and they were elated with their successes—reduced pain and improved emotional wellbeing. Because those with chronic pain are often without hope and courage, I chose the name Take Courage Coaching. Helping others learn to manage their pain has become my passion, and I find that helping others is one of my best pain-reducing strategies. PP: Could anyone dealing with chronic pain benefit from coaching? How? Yes, anyone with chronic pain can benefit from pain coaching. Chronic pain is baffling and overwhelming. The support of a coach and the camaraderie of a group provide a nurturing environment. For many it’s the first time they’ve been given solution-oriented ideas for living better with their pain. PP: Are certain treatments offered/recommended through coaching? Personal coaching does not offer or recommend treatments. Individual coaching sessions may include conversations about the client’s medical treatment or medication, in which case, the coach helps the client sort out questions or communications for the medical provider. Coaches with Take Courage Coaching, for example, offer education to clients and tools for pain management through group classes. These pain-management strategies include topics such as pacing (slowing down to reduce pain), sleep, exercise and dealing with automatic negative thoughts. Individual sessions are driven by the client— topics our clients are passionate about. The coach assists them in developing strategies for issues that they are dealing with. PP: What training is involved to become a coach? Our pain coaches complete a 40-week training course. In addition to learning personal coaching techniques, they gain special training to work with chronic pain and help clients implement strategies that can manage pain. Extensive mentoring/practicing time ensures that coaches are comfortable with the pain-coaching process. A comprehensive testing process confirms that our pain coaches are ready to work with clients. Continuing education is also key. PP: What is the cost of the program? The program cost is $650 a month. It is covered by most workers comp insurers and there is a sliding fee scale for those in need. PP: Can you share some success stories? Client stories are my favorite part! It’s so exciting to know they have gotten out of the recliner to re-engage with family and friends and return to activities they love. There’s Alice, who had been defeated by pain for 15 years. When she graduated from the program, she ran her first 5K. Jessica’s migraines rearranged her life to the point she defined herself as undependable and irresponsible. She no longer feels defeated or believes she’s a coward, and she’s back to her writing projects. Delica has a long history with pain, surgeries, and opioids. Her last pain clinic wouldn’t even take her until she’d gone through detox. It was the personal coaching and meeting every week with a group of ladies who were learning how manage their pain that helped her succeed. She now manages her pain levels so they don’t control her life. Becka also knows the ups and downs of opioids. She was pretty hopeless, anxious, and desperate when she came to Take Courage Coaching. Now she runs her small business and uses successful pain-management strategies so it doesn’t interfere with life. Jim was exhausted and desperate from the pain, surgeries, therapies, and pain medication. He’s gone from working less than 60% of his pre-accident working capacity to 90%, and is off all pain medications. His parishioners have their pastor back. Check out the Take Courage Coaching website for more stories. Listen to Dr. Christo’s Aches & Gains podcast with Becky to learn even more about coaching … and hear about Jim’s personal story. Want more great info on pain management? Learn 3 super-easy hacks for pain relief and find out how maintaining fitness can help relieve chronic pain. If you’ve had experience with pain management coaching. Please comment below. We want to hear from you.